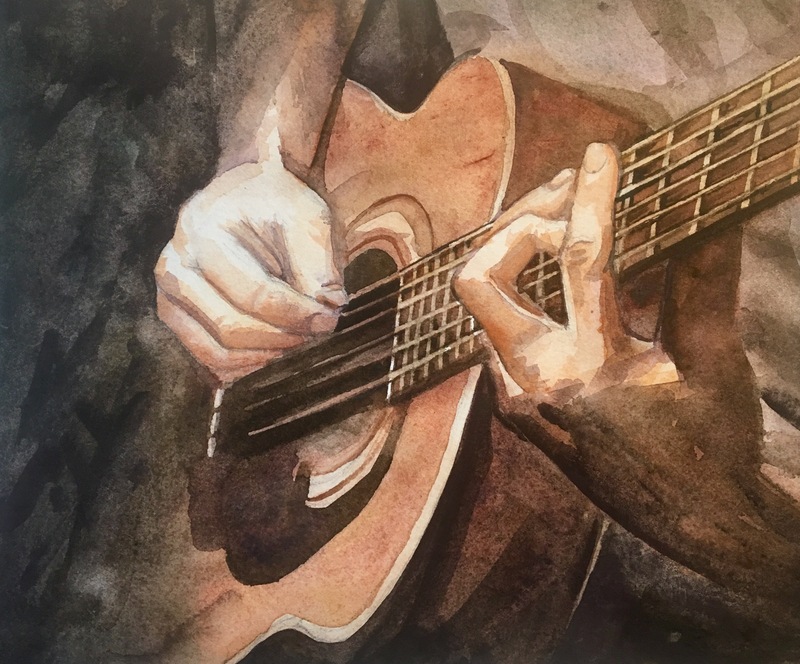 As the music series continues, I selected hands playing a guitar for my next piece. I even created a fancy time-lapse video to go along with it. See below. I love the moody look the shadows create in this piece. It will go in my next show, which is scheduled in May.